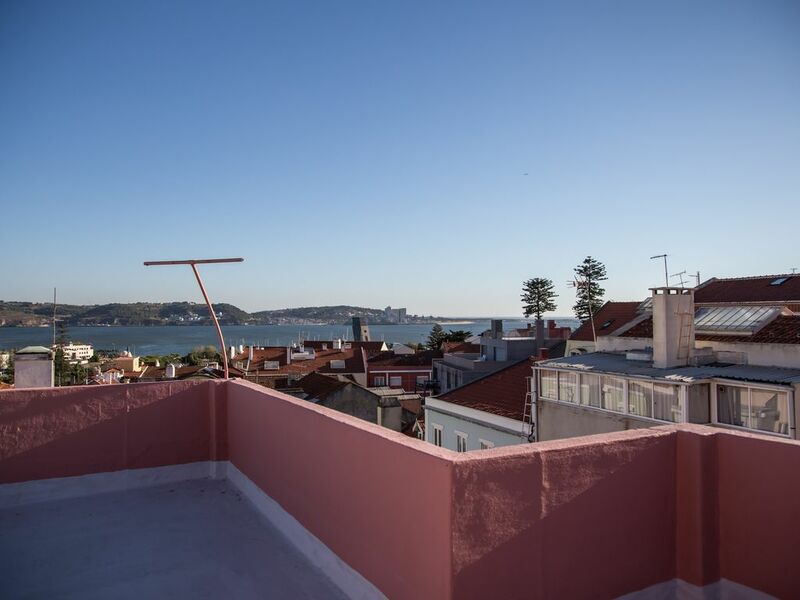 Lovely period apartment close to Lisbon attractions. Algés district is on the riverside, west of Lisbon centre. It is very close to Belem, and has excellent transport links. A short train ride to Belem and Cais do Sodre (Lisbon center). Also get around on the no. 15 tram. Close to fantastic beaches eg Carcavelos, Cascais, these are a short train ride. The apartment is elegant and classic and would suit a couple very well. It has 2 bedrooms with two double beds and 1 small bathroom. For this reason we feel it provides the best comfort for one couple, one couple with a child over 12/or at more of a squeeze 2 adult couples. There is a large dressing room accessed off the two bedrooms so plenty of storage space, lounge, sun room, kitchen and bathroom plus a small balcony and a communal large roof terrace. A married UK couple. Samantha and Kit live in Portugal and the UK. They run art holidays, as well as teaching English and telecommunications on line. They speak a little Portuguese and French. The property has a timeless classic appeal and has not been spoilt by modern decoration. It has a great community roof terrace which always seems to be unused. The view is quite spectacular. The property has been refurbished keeping the character and charm of the art deco style. The apartment has a homely, warm, airy and light feel. It´s location in Algés means it´s ideal for travelling to the centre (Cais do Sodre 15 mins) and also up the coast to Cascais. As well as numerous cafes, bars and local shops, Alges has its own art gallery and beach! It has excellent views from the rooftop community terrace which you are free to use. The architecture is classical and the building has been recently renovated. Bathroom has a bath with wall-mounted shower and shower curtain. The roof terrace is shared. Appartement parfait pour visiter Lisbonne - proche tramway et train qui vous emmène directement dans le centre ville .